Hi friends! 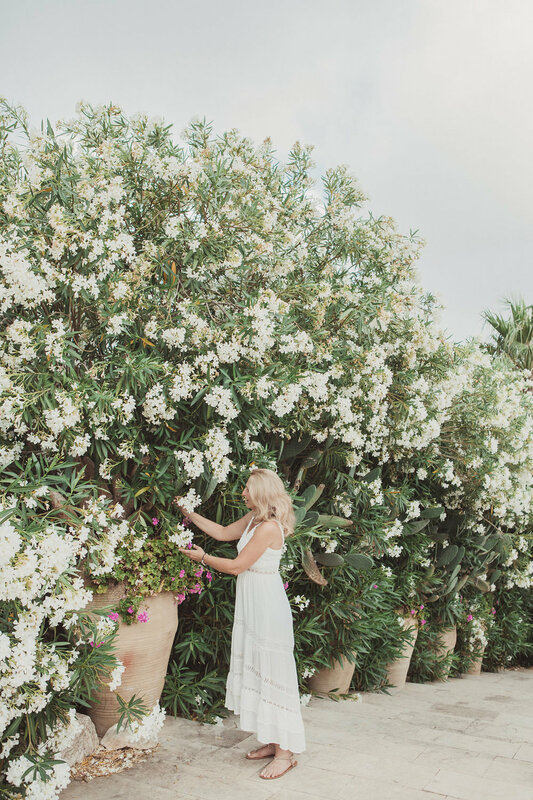 I don't blog often, but I think this retreat really deservers a full blog post (or two!). I just got back from Europe and all I can say is: wow, what an experience. 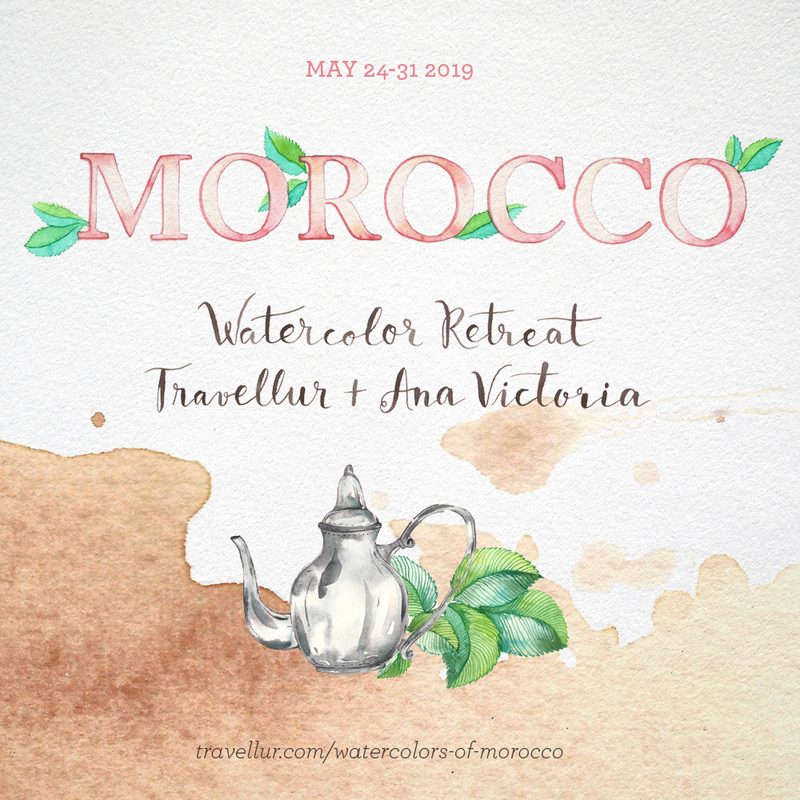 This was the frist of hopefully many Watercolor Retreats where I team up with Travellur, a boutique slow travel specialist in authentic travel experiences. I am so grateful that this group of women (who had never met before!) came together with two things in common: our love for travel and painting. Everyday our program included a class I designed specifically for this location, lots of delicious food and a cultural outing or moment. For a full week we painted together and shared many laughs and stories at the beautiful Villa we all stayed at together. In the morning we woke up to delicious breakfasts by my friend Alessia, who also made sure we had plenty of snacks and lunches throughout the day. I also want to give a special thank you to Jesy for capturing these special moments so beautifully. Jesy also took our portraits and so many cool group pics. Guys, I think I will for sure need a second blog post to share all my thoughts and pictures from the retreat. Jesy making me feel like a princess! Overall I can't thank Coco from Travellur enough for making this dreamy week come together. I am so glad this partnership exists and delighted to bring more art retreats to you, hopefully for many years to come! I highly recommend Travellur for all your custom travel experiences, she really caters well to small groups who want unique travel experiences. JOIN US IN 2019 HERE! Modern Watercolor Techniques LA Workshop! Hi friends! 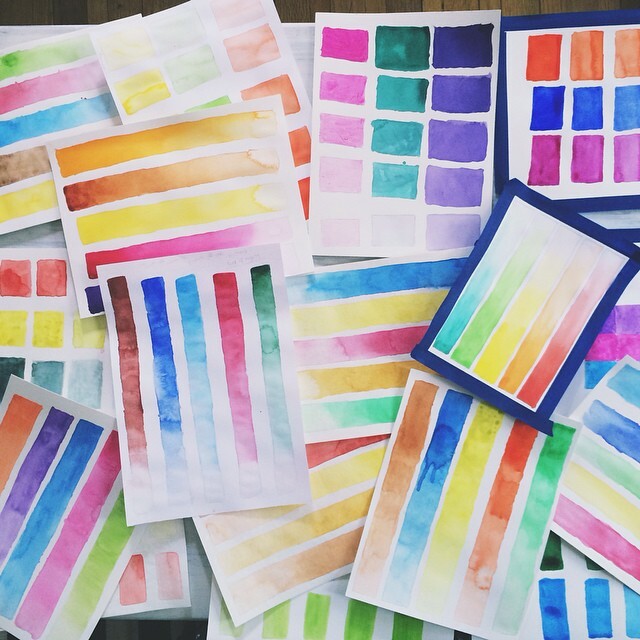 I can't say how excited I am to be taking my watercolor workshops on tour! My first stop is LOS ANGELES, join us this April in Silver Lake for a magical experience. ENROLL HERE. Click on image to go enroll. amazed with the results you can obtain with my simple direction, no experience necessary! illustrations that can be pieces of art on their own or used in personal projects. - Mixing watercolors with different supplies, this is my signature “baby planets” activity! 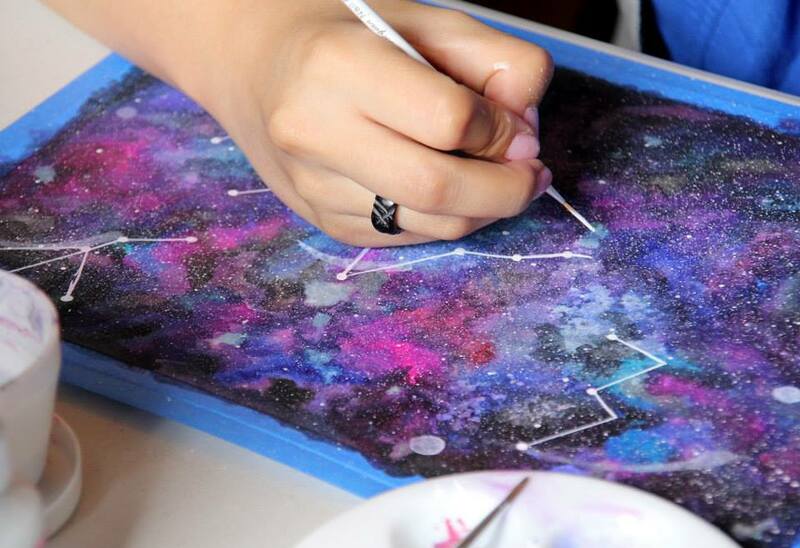 - Paint a magical galaxy, universe or supernova! Pan sets or tubes are both great.